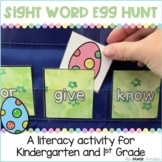 Let your students practice their sight words using this cute scavenger hunt! All you need to do is make copies of the recording page, cut (laminate optional) the word cards and put them around your room! Perfect for a center! Aligned with the common core! A fun activity for the read the room centre! 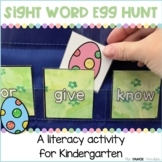 Cut and laminate the eggs and place around the room for the kids to 'find' during literacy centres. They use the included recording sheet to write the words they found. They then read the words and write a short sentence using sight words. 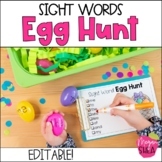 Your students will have a blast reading sight words as they "hunt" in your classroom or school to find 10 common sight words!